DARTMOUTH, NS – Ten months after it was first reported, Brightwood Brewery has announced the opening of its new location in downtown Dartmouth, Nova Scotia. 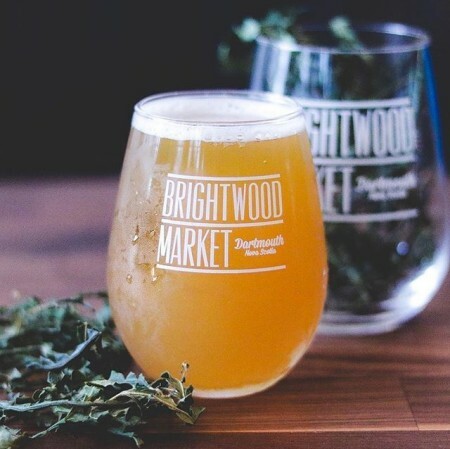 As reported by Atlantic Canada Beer Blog, Brightwood Market features a 10-barrel brewhouse – a tenfold increase from Brightwood’s original home-based brewing system – as well as a taproom serving pints, samples, and growler fills. Last week’s opening also featured the launch of Voice of the Doggos – a saison in support of the Nova Scotia SPCA brewed with Amarillo and Hallertau Blanc hops, rye, and dried sweetfern – which is currently on tap alongside Smokey the Beer Amber, Little Lift Session IPA and Made Me Blush Rosé IPA. Brightwood Market is located at 35 Portland St. in Dartmouth, and is open from 10:00 AM to 12:00 midnight daily. For more details, see the brewery’s Facebook page and Instagram feed.